Little golden medallions of goodness. Carrots are probably the most basic vegetable out there. But sauteing them with cinnamon and honey and then throwing in toasted pecans take ordinary carrots and make them extraordinary. NOTE: This recipe has been updated and incorporated into a new e-cookbook, Organic, Non-GMO and Gluten-Free Fall Family Favorites. 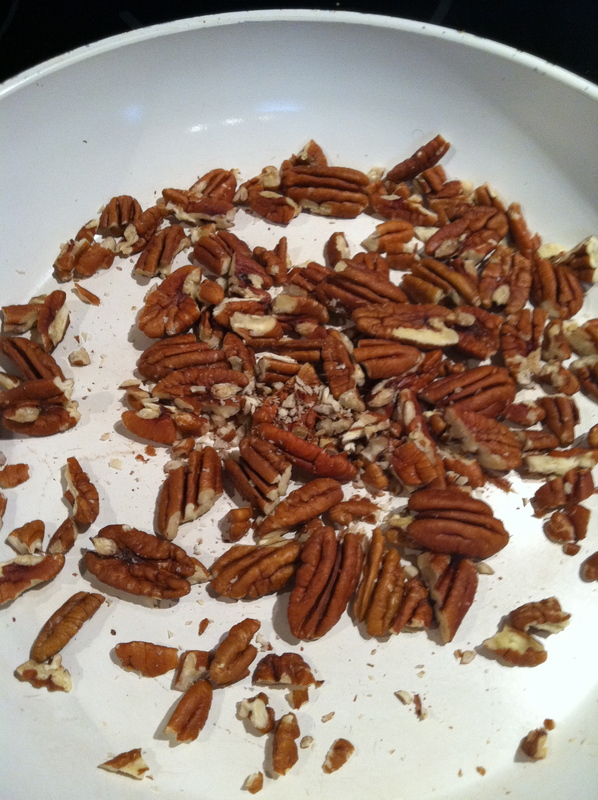 Roughly chop the pecans and throw into a dry saute pan. Heat over medium high heat for about 10 minutes stirring occasionally until the pecans are toasty. Watch them carefully to prevent burning. Slice your carrots while the pecans are on the stove. Mix together the oil, honey, cinnamon and broth in a glass measuring cup. Remove the pecans from the pan and set aside. 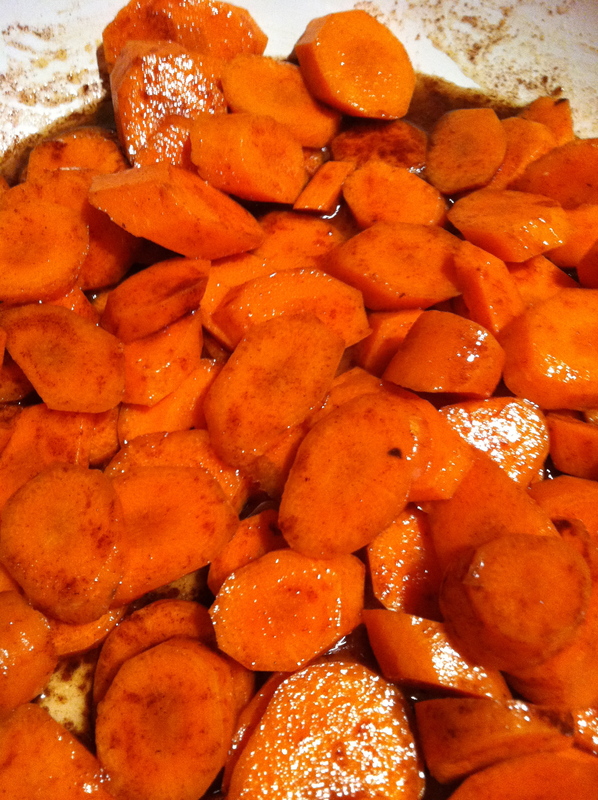 Put the carrots and the honey mixture into the pan. Heat the carrots over medium high heat until the liquid boils. Turn the heat down and cover. 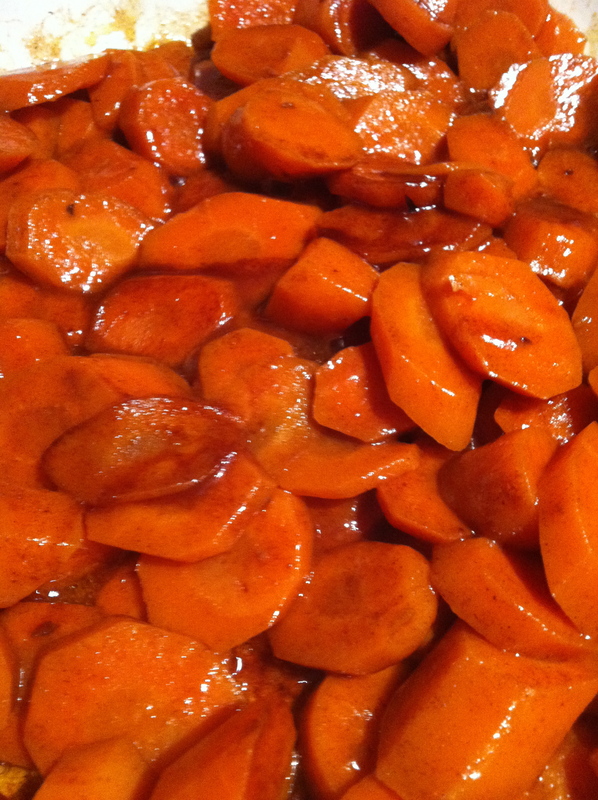 Allow the carrots to cook and the sauce to thicken for about 10 minutes. You can see below the pecans in the pan, followed by the carrots with sauce and finally the carrots after they have been cooked and the sauce has turned into a glaze. Yummy – the pecans were a stroke of genius. Hey thanks! Let me know how they turn out when you make them!